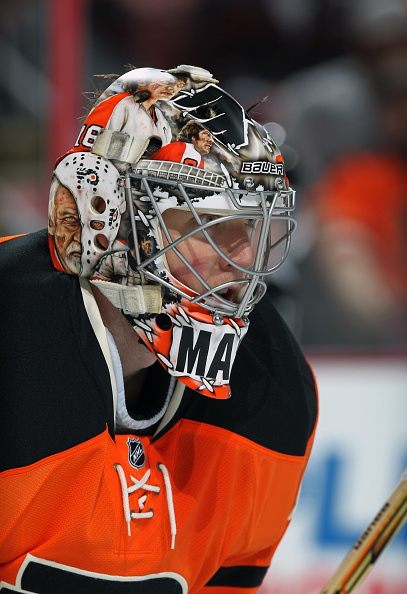 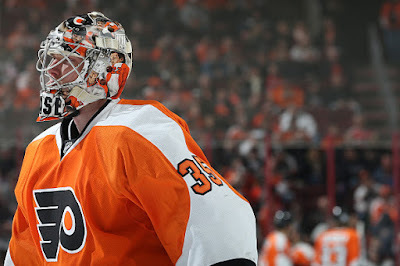 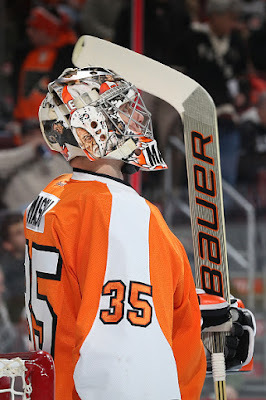 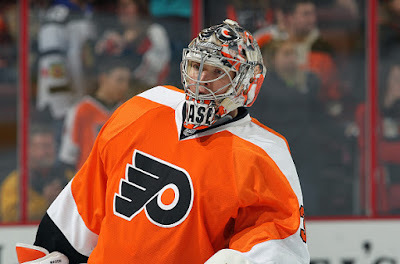 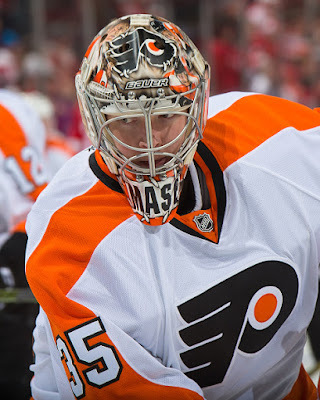 The mask features former and current Flyers as zombies. 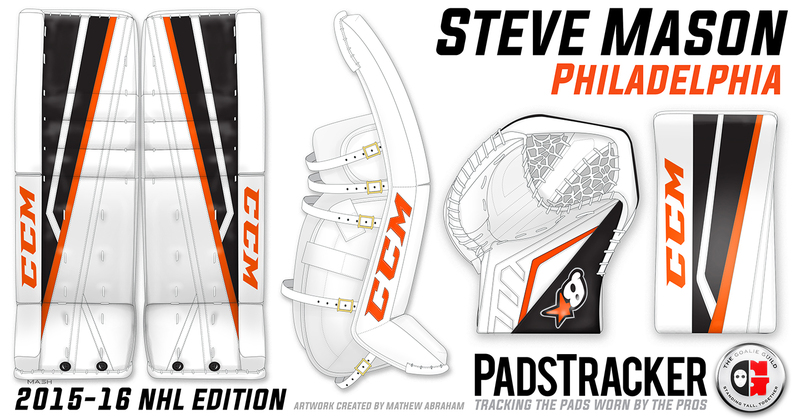 Included are Bobby Clarke, Bernie Parent, Jake Voracek, the Schenn brothers and more. 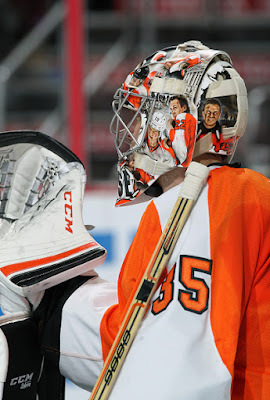 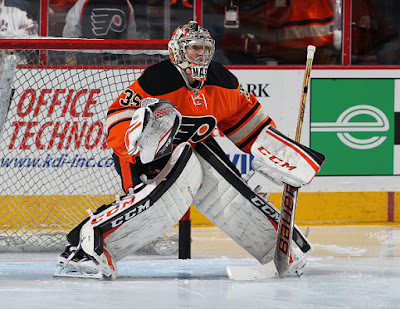 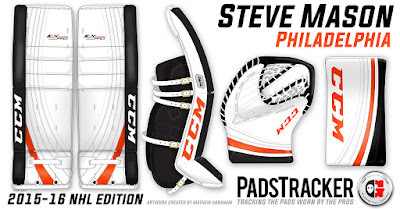 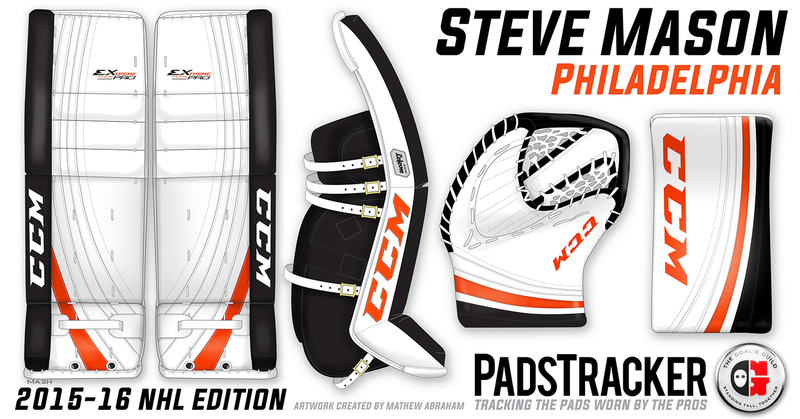 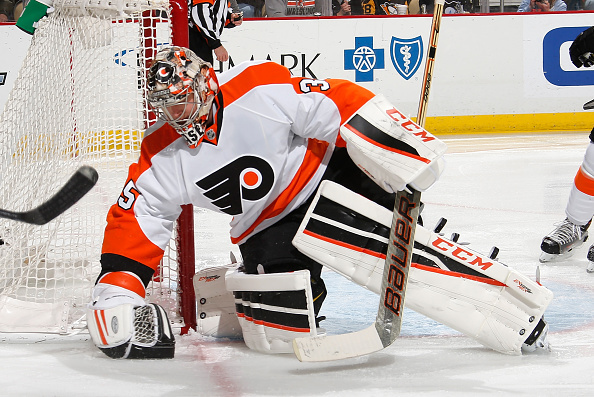 These are the most recent pads he's worn. These pads were from earlier in the season. 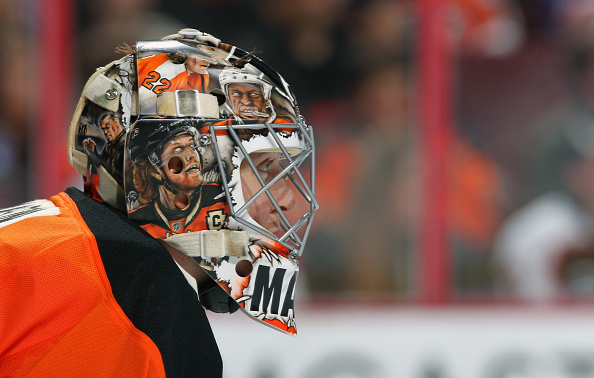 He's also worn last season's mask for at least one game in October.